This silk shirt is made of 100% yarn-dye spun silk, which is one of the finest silk fabrics. Classic fit, shape and style. The ultra fine woven texture with non-shining look is especially luxurious and elegant. 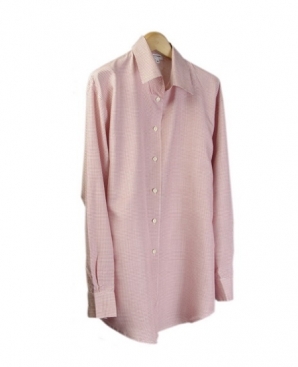 This shirt looks great under a suit, jacket, blazer, cardigan or with a pair with jeans. Machine or hand wash cold; Press with steam to maintain the best hand-feel. Or dry clean.